I wasn’t planning on writing a separate post about the blueberry sauce that I made to go with my lemon pancakes, from my last post… but it was so delicious that I thought it was worthy of one by itself. 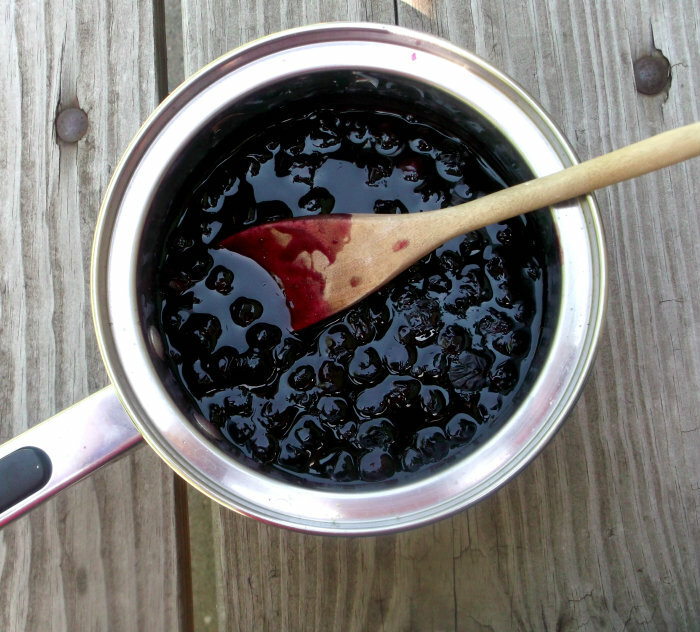 If you are looking for a blueberry sauce that is quick, easy, and delicious this is the one you have been looking for. 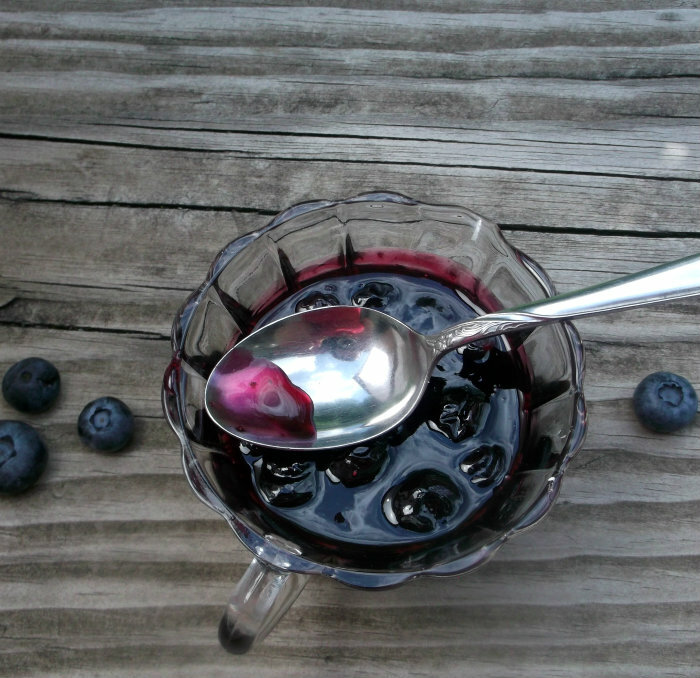 I looked a lot of blueberry recipes before I stumble unto to this one. It doesn’t have a ton of sugar like so many of the recipes that I looked at and it took so little time to prepare. It paired so perfectly with my lemon pancakes, but don’t stop there this sauce could be used for so many other things. The recipe actually recommended using it on ice cream, but it would be great on cakes, cheesecakes, and the list could go on and on. In a small saucepan, combine the sugar, cornstarch, and salt. Gradually whisk in water until smooth. Add the blueberries, lemon juice and peel; bring to a boil over medium heat, stirring constantly. Reduce heat to medium low and cook 2 to 3 minutes longer or until thickened, stirring occasionally (some berries will remain whole). Serve warm or chilled. We love making fruit sauces in my home. The blueberry sauce looks terrific. 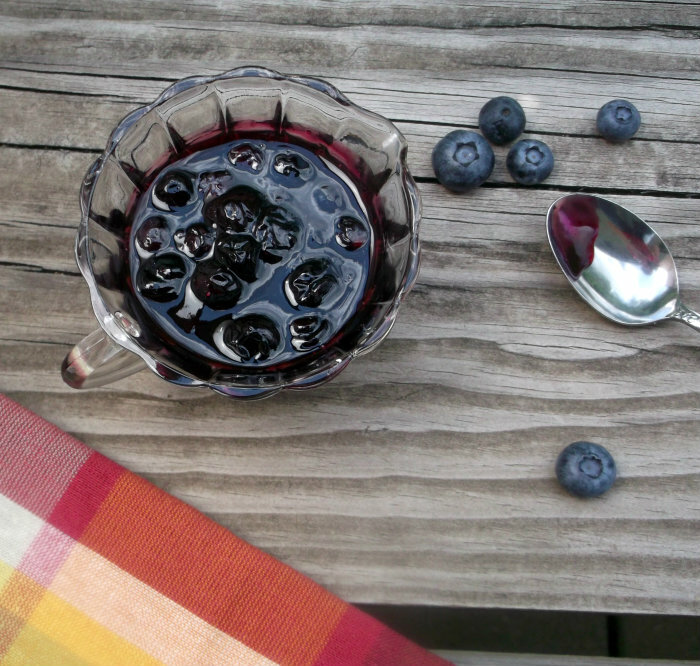 I’d say this delish blueberry sauce is definitely worth its own post! This looks terrific – really good stuff. Thanks. This lovely sauce reminds me of a blueberry pie I just made. Looks delish!